Knowlarity is one amongst the first and the leading company in cloud telephony in India. knowlarity communication pvt ltd took birth in the year 2009 of an amazing idea of 2 IITians Ambarish Gupta and Pallav Pandey. Who work together on cloud telephony and brought us unified communication solutions to our doors, these unified solutions of cloud telephony gives strength and empowers companies with marketing and communication tools. Knowlarity communication brought a revolution in the communication field by changing all the traditional communication hardware system with cloud based marketing automation and communication tools. 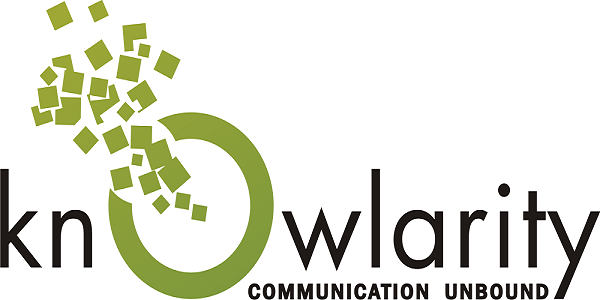 In 2009 this company was started with a few number of expertise, who has got a common goal to revolutionize the way of communication in small and medium sized companies by using the cloud based unified communication solutions. Today, their goal or we can say dream on which they are working is already get succeeded, and now they got more than 500 plus expertise from all possible geographies. Knowlarity headquarter is in Singapore, and they have a wide chain of working expertise offices in India, Dubai and in Phillippines and expanding in several more countries like Bangladesh, Oman, and in Srilanka. This company reached so beyond expectations that it have marked their presence in more than 65+ countries and working more to get their feet in many more countries. Today they are proudly serving their services to more than 12000 companies worldwide. They serve customers, on a wide range from first time entrepreneurs to multinational companies such as Google. Knowlarity is backed by some of the best venture capitalists from over the globe that is Sequoia Capital and Mayfield Ventures. This great venture funded them more than 90cr in recent past year. Knowlarity has been ranked as one amongst the top startups in Asia by red herring, and was recognized by some big multinational companies for its innovative practices by the Deloitte Fast50 India program. Knowlarity has become such a huge brand that it started acquiring the companies too, as such it acquires Unicom Techlabs in 2014. If we talk about the revenue of knowlarity, then it has passed this fiscal year with 75cr. It has already became 10 times the size of their competitors. K- broadcast helps them to make their all of outbound phone calls campaign, to reach out to thousands with an automated voice and text messages for a successful campaign. This k-broadcast solution has extended their limitations to carry out several more functions like drive elections, confirmation and failure of cash on delivery orders, collect feedbacks, spread awareness, to educate weaker section of the society and much more.. This service helps them to constantly generate more leads, and helps them to engage more customers actively. This missed dial solution helps us to verify phone numbers during the registration process, helps us in the campaign during the elections or in any marketing campaigns. This service also allows customers to sign up for SMS alerts or to avail in some of the features or to avail out some of the features. In addition to these services it also helps in the survey and polls, in getting the customer feedback, in integrating with our CRM, and it is free of cost to your caller. This service helps the users to understand about their latest marketing campaigns, which helps them in getting the success and failure of their marketing. so that the user can choose the right way to get successful marketing in the next campaign. This service also helps the user to track your leads to measure and record them for future purposes. It also helps us to offer individual number in bulks, which we can use as future contact to the customers. This knowlarity virtual number solution is also being used by the top multinational companies like google and the top renowned brands like India mart and Snapdeal. This service is an instant calling widget helps the user to connect to their customers within a fraction of the time of their visit to boost the conversion rates. This widget is placed within the website which helps the users to get connected to the leads, while they are looking or searching for you. As soon as the visitor login to the account or submits their numbers, this knowlarity click 2 call service helps the user to connect with their customers. This service bridge a call between the service user and the customer. This call is also free of cost to the potential customers like the above services. Also get knowlarity miss call or missedcall number Services at economical rates. This is a great feature of knowlarity as it helps the user to increase the lead generation up to by 40%. This service comes with all new packets of some interesting features advanced analytics, white listing which helps the user to find the quality of the leads, call routing and welcome greeting in any language. Which helps the user in getting more leads because it somewhat attracts to the customers. This service is also used in increasing your business inquiry and improves the quality of leads. For all this extraordinary features and solutions we call this service a knowlarity toll free service, knowlarity super toll free number, knowlarity advanced dual bridge number. This service helps us in saving the time and release the load of confusion in searching for the data. This is a great service, which saves time on manual call forwarding. It connects the customer to the right department or the person you want to be get connected. It gives the user efficient inbound call handling performance. It also helps in generating the quality leads and much more with our knowlarity cloud ivr solutions (knowlarity ivr and sivr). Cloud IVR Solution Works as knowlarity Super Receptionist for Companies to reduced the cost of multiple receptionist. knowlarity super conference and knowlarity cti solution. This virtual PPC number service helps us to measure the success and the failure of your marketing campaigns. It makes you realize the faults and the goodness of our marketing strategy, which you have used in the campaigns. The Adword campaigns are campaigns, which runs in the hope that it will generate more traffic and can generate the quality of leads. This knowlarity virtual PPC numbers can be assigned to each ad campaign to track the traffic. This service helps us to run more effective and targeted campaign to run in future , other than the campaign which we had run in the past. These all services are the best services which we can have in todays world to communicate with the help of cloud telephony. AB Infotech is one of the leading and complete web solution provider, it is one of the best channel partners of KNOWLARITY. ABINFOTECH, as it is a partner of KNOWLARITY also provides all the services of CLOUD TELEPHONY. ABinfotech offers you a full range of products of knowlarity communications, to the customers. For any further knowlarity review, pricing and discounts, inquiry and information, you can get in touch with us to get best communication solution with the help of telephony cloud services.